Women’s Flyweight: Lauren Murphy has moved up one spot to #7, now tied with Roxanne Modafferi. Flyweight: Previously unranked, Alex Perez now sits at #14 and Mattheus Nicolau is now at #12. #1-11 in the rankings each have moved up one spot and are now in the following order: Jussier Formiga (#1), Sergio Pettis (#2), Joseph Benavidez (#3), Ray Borg (#4), Deiveson Figueiredo (#5), John Moraga (#6), Wilson Reis (#7), Dustin Ortiz (#8), Alexandre Pantoja (#9), Brandon Moreno (#10), and Ben Nguyen (#11). Middleweight: After the TKO victory over Chris Weidman, Jacare Souza now sits at #3 in the rankings behind #1 ranked Yoel Romero and #2 ranked Luke Rockhold. Meanwhile, Chris Weidman has dropped to #5, one spot above Israel Adesanya who moved up three spots to #6 after his first-round TKO over Derek Brunson. Brunson remains in the top 10 at #8, with Paulo Costa up one spot above him at #7. Jared Cannonier has made his debut in the rankings coming in at #9, which is tied with Brad Tavares, and David Branch has fallen outside of the top 10 and is now placed at #11. Rounding out the rankings are Antonio Carlos Junior (#12), Uriah Hall (#13), Elias Theodouru (#14), and Thiago Santos (#15). Light Heavyweight: With the return of Jon “Bones” Jones (#1 Ranked), numbers 2-13 have each moved down one spot and are now found in the following order; Alexander Gustafsson (#2), Anthony Smith (#3), Jan Blachowicz (#4), Ilir Latifi (#5), Volkan Oezdemir (#6), Jimi Manuwa (#7), Dominick Reyes (#8), Corey Anderson (#9), Glover Teixeira (#10), Ovince Saint Preux (#10), Misha Cirkunov (#12), and Mauricio Rua (#13). Nikita Krylov dropped two spots to #15, while Tyson Pedro remains at #14. 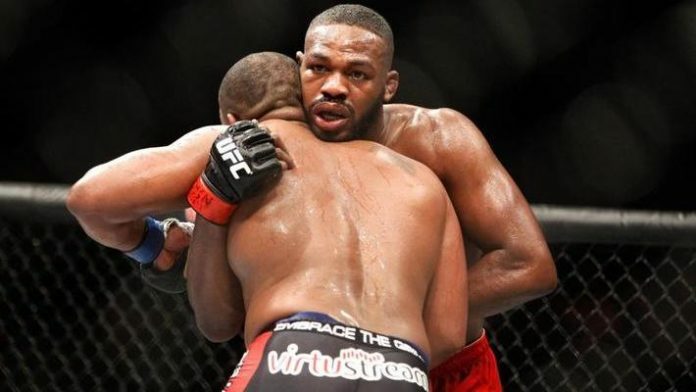 Pound for Pound: Jon Jones is back in the pound for pound rankings and upon his return sits at #3 behind AKA’s Daniel Cormier (#1) and Khabib Nurmagomedov (#2). Jones’s return has caused T.J. Dillashaw (#4), Max Holloway (#5), Georges St. Pierre (#6), and Tyron Woodley (#7) to each drop one spot. Also, Stipe Miocic is now ranked #9 with Henry Cejudo falling to #10.